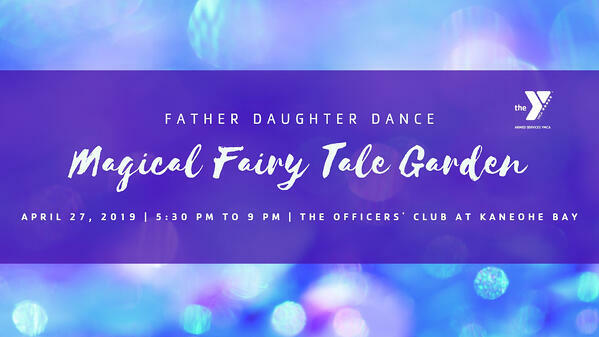 Father Daughter Dance, will be held on Saturday, April 27, from 5:30 pm until 9 pm through our branch on Marine Corps Base Hawaii. Father Daughter Dance tickets are available to all branches of the military, to include our retired families. Tickets are $45 per person for E8 and above and $35 per person for E7 and below. Tickets include a delicious, child and adult friendly, buffet dinner with desert, candy making station, live DJ, games and prizes, and selfie station. Kids in the Kitchen, aboard Wheeler Army Airfield on Friday, April 26 from 12 pm until 1 pm. 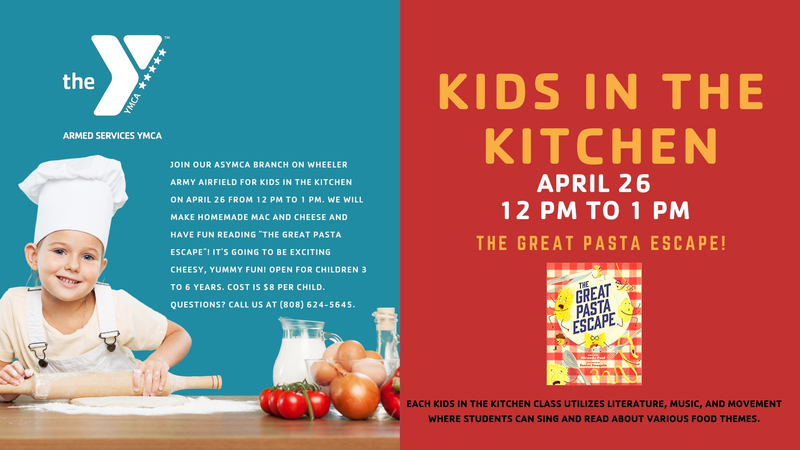 Join the fun at Kids in the Kitchen as we teach children, 3 to 6 years old, how to make delicious homemade cheesy Mac & Cheese while we read the delightful tale, "The Great Pasta Escape." Cost is $8 per child. Sign up online by choosing "Kids in the Kitchen" and selecting "Wheeler." If you have questions or are having troubling signing up online, call us at (808) 624-5645. Children's Waiting Room, at Tripler Army Medical Center has now reopened! We also have a Children's Waiting Room, at U.S. Army Health Clinic, Schofield Barracks. To make reservations or find out more information, please contact our CWR office on Schofield Barracks at (808) 433-8410 or Tripler at (808) 433-3270. NEW HOURS for CWR on Tripler Army Medical Center beginning May 1. We will be open from 7:30 am until 3 pm; closed for lunch from 12 pm until 12:30 pm. Change in hours was made in response to the needs of families and clinics. Ohana Food Drop: In partnership with the Hawaii Food Bank, FREE seasonal fruits and vegetables, bakery items and canned goods, available to all military and DOD families in need. Sign in sheet at door, please bring military id. Sign in sheet at the door, please bring military id. Summer Camp registration begins March 4! We will be offering two sessions of Camp Hero and three sessions of Robotics Camp this summer. Robotics Camp on JBPHH, June 17-21: Space Available for children 10-12 years; slots for children 7 to 9 years are FULL. Save the Date! Eha Koa Golf Tournament on November 8, 2019! Check out what’s happening in your military community! You can also easily add an event as an appointment to your personal calendar so you can receive real-time updates.